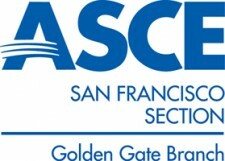 The Golden Gate Branch is part of ASCE Region 9 and is the second largest branch in California. We hold a dinner program once a month on a variety of relevant topics. Please check the calendar for current events. For more information sign up for our mailing list below.